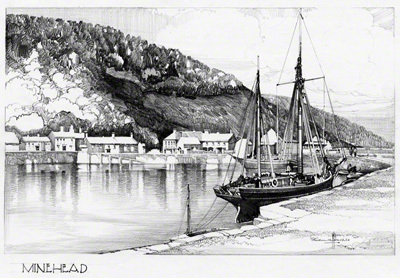 Claude Buckle's pencil drawing of Minehead, a coastal town and civil parish in the heart of Exmoor in Somerset, lies on the south bank of the Bristol Channel. This view is from the harbour looking north west. There is also a poster of a Somerset village. Created in 1935.